The baths or 'hamams' as they are named, are for many aspects of health, not just for external cleanliness. Before Turkey was established as a separate country, the Romans, Byzantines, and nomadic peoples of the region had their own variations of bathing rituals. 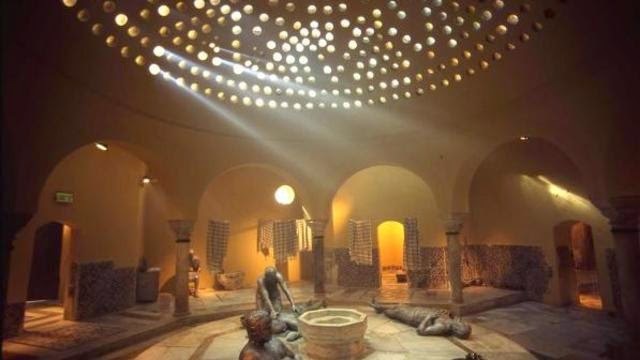 These traditions combined, creating a different variation of these ancient bathing habits, The Turkish Bath.The bather enters the dry heat of a sweating area. Afterwards, the bather begins to perspire heavily because of a wet steam.The skin is then washed with soap and warm water and the muscles massaged. After being scoured and washed, the bather's body temperature returns to normal from swimming in cold water. 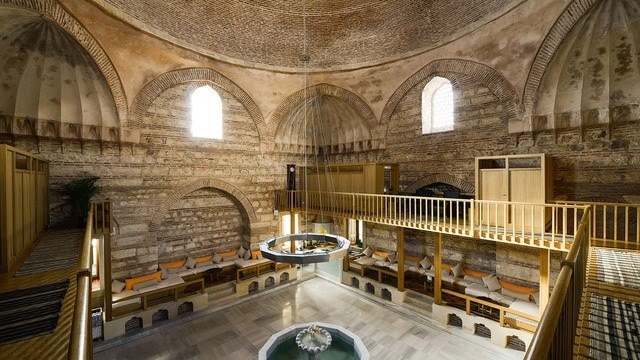 Closely interweaved with everyday life, as well as the Muslim mandates for cleanliness and respect for the varied functions of water, the hamam will probably survive modernity with many other things in Western Asia. Join me on a visit to one of the Istanbul's more authentic and reasonably-priced Turkish hamams. After the hamam, we will eat local food, have tea, and tour around Balat district. 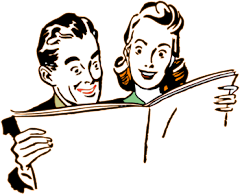 Food and drinks are included to the prices.If there is different genders in the group mens join the tour womens tour with my wife.